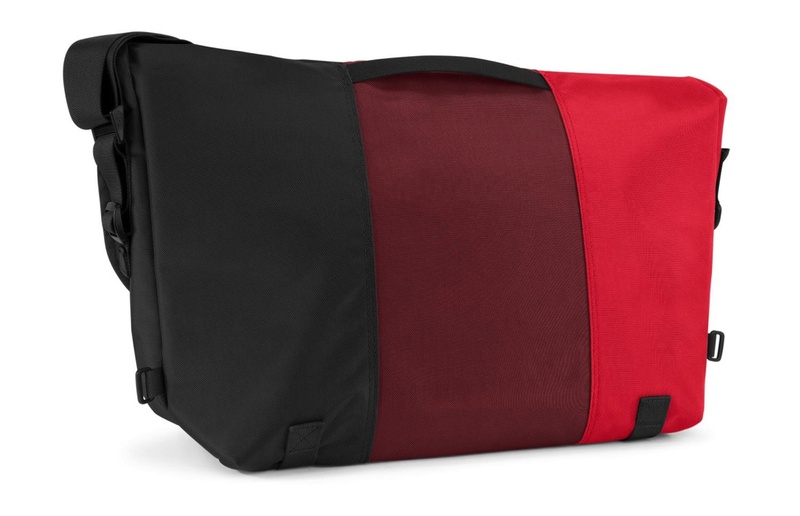 There are typically two longtime camps when it comes to messenger bags: Chrome and Timbuk2. In my freshman year of college, I knew I had to ditch backpacks for something more “mature”. 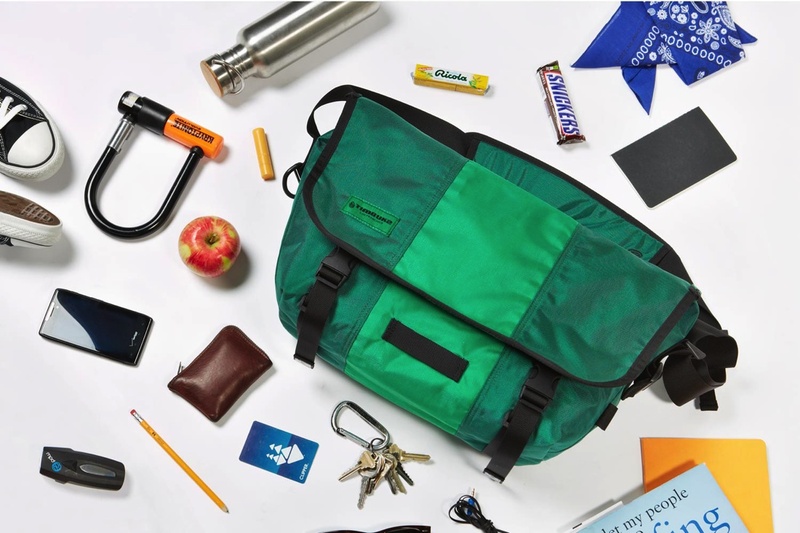 While both brands are big hits with bicyclists and urban couriers, they’re also great bags for everyday carry. 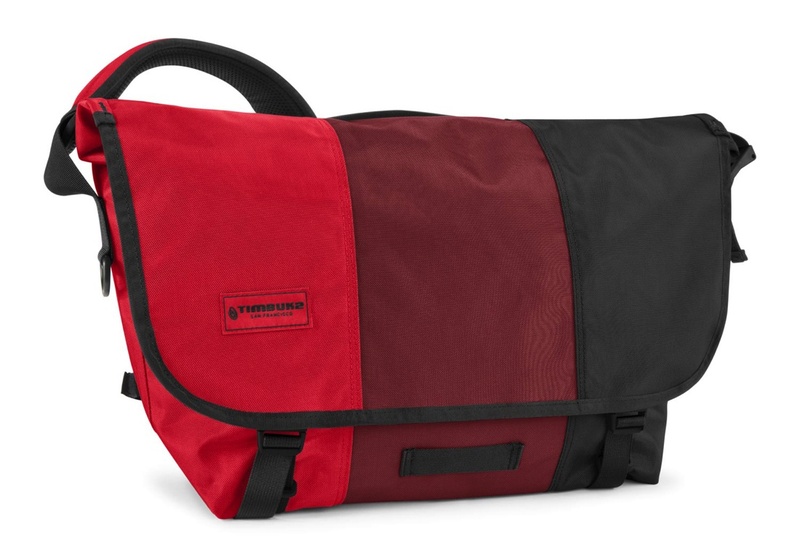 Back then, I went with Timbuk2′s Classic Messenger Bag in large. 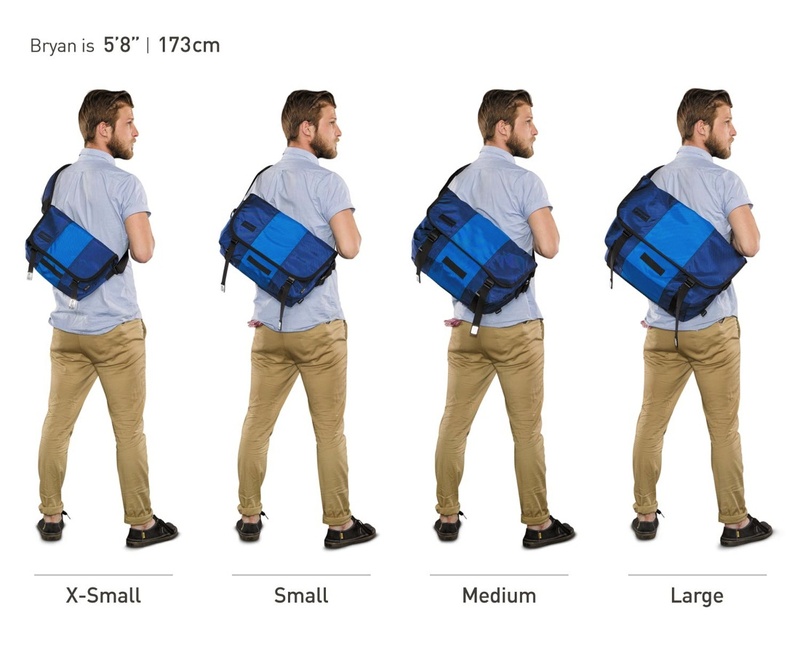 When Timbuk2 says its bags are designed to “last forever”, it’s not that far from the truth. I’ve owned that bag for eight years and it’s come with me all across the U.S. and to Asia on multiple occasions. 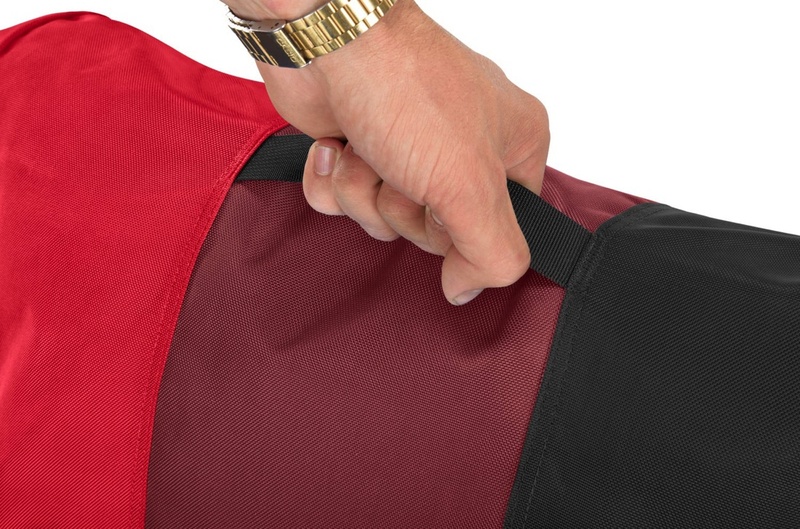 It’s still a great bag that refuses to break down. Two years ago, I purchased a small-sized Timbuk2 Classic Messenger Bag. 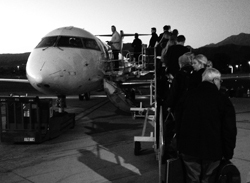 If you follow me on Instagram, you’ll probably already know it’s my main travel bag. It holds my 13-inch MacBook Air snuggly in place, my Nikon D7000 DSLR and has enough compartments and pockets to store charging cables, notepads, pens, business cards and all of the little things I need. 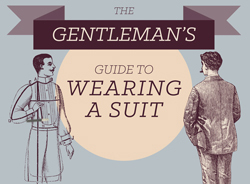 Needless to say, it’s incredibly streamlined to the point of near perfection. To my surprise, Timbuk2 felt there was room for improvement. 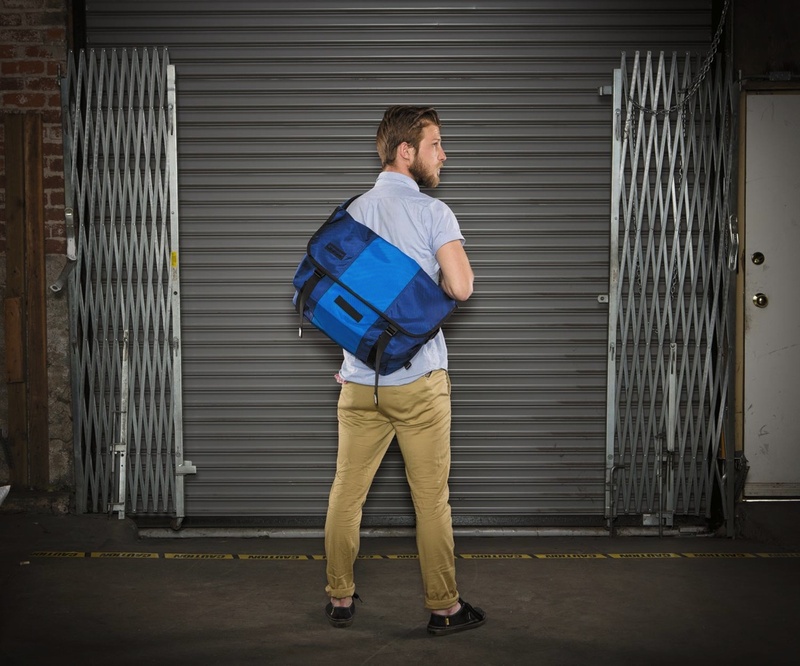 Timbuk2′s new 2014 Classic Messenger is completely redesigned. Twenty-five years after the company’s bags were sold under “Scumbags”, the messenger bag is finally getting some much-needed improvements (like ‘em or hate ‘em) including a snugger fit, new shoulder strap with curved airmesh strap, grab handle and hidden buckles (as opposed to exposed ones) that can prevent strangers from stealthily opening your bag. Aside from those improvements, the only other external change appears to be a patch with the Timbuk2 brand prominently displayed and the iconic swirl downgraded to second fiddle. (Personally, I’m not too happy about this change, but I imagine it’ll grow on me as did the change from yellow swirl to gray swirl years ago). 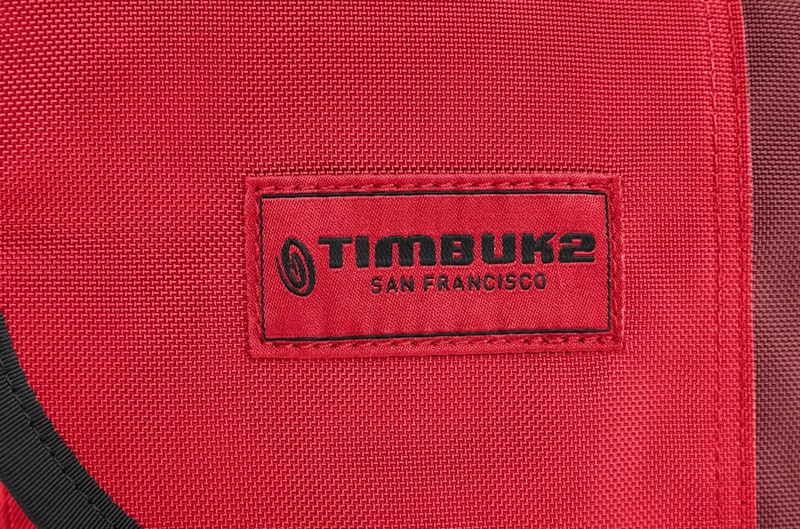 Timbuk2 made improvements to the inside, too. 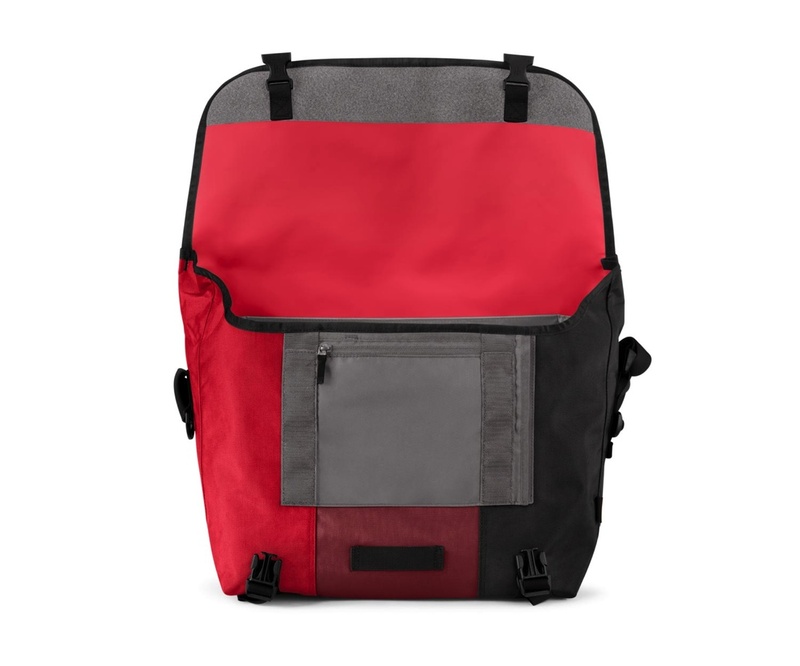 There’s a contoured flap on the sides for better weatherproofing, two internal water bottle pockets, and a double-loop CAM Buckle that cuts down excess webbing. I could live without all of these new features, but I suppose couriers and bikers will appreciate them. 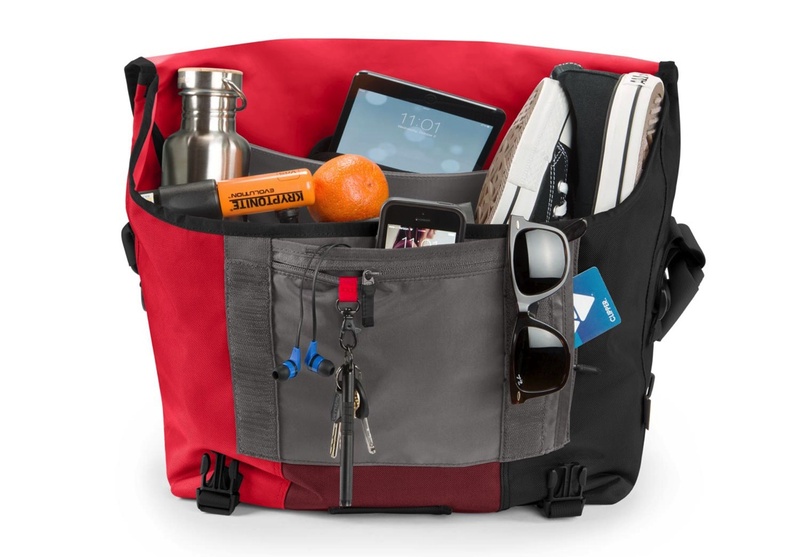 Otherwise, the Timbuk2 Classic Messenger is still a versatile bag made from CORDURA nylon and weathered canvas. And the waterproof TPU liner is still as awesome as before. As always, the bags are available in XS-L.